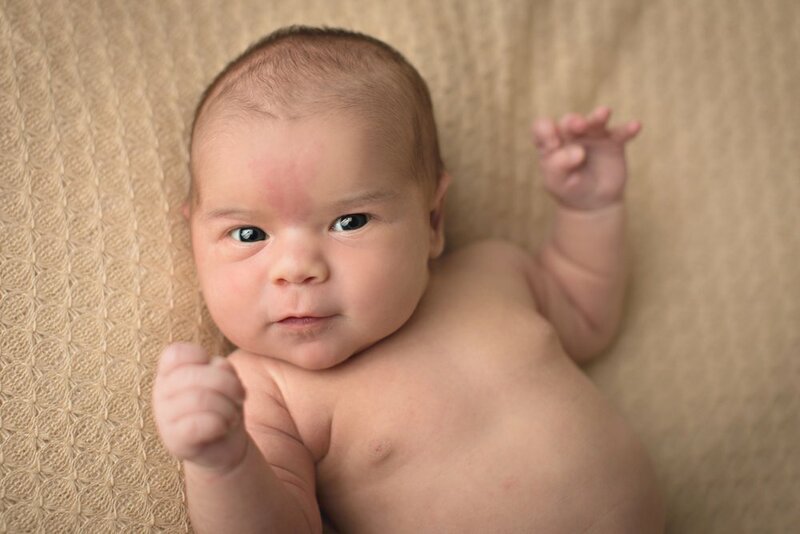 Well, Grace is 6 months old this coming week so I figured it was about time I posted her newborn photos! She was born right at the beginning of wedding season so I've been too busy working on everyone else's photos that I haven't had time to work on our own. I'd like to write a post about my pregnancy and her birth but I'll save that all for another day and focus on my first happy day since having her. To make what will be a very long story very short, I ended up having to have a c-section and although everything went well with the surgery, I was an epic mess and everything was so difficult and I wasn't happy at all. Well, that is until we had these photos taken. It was the first time I remember smiling and being happy since having her. I was in awe that Melissa was able to get my crazy baby into these sweet, sleepy poses. I suppose the only downside to her looking so perfect and peaceful is that isn't how I remember her, haha. I remember her screaming and crying since that is what I saw the most of. It's crazy to look at these because I see her in them but also they seem like such a stranger. At 6 months I feel like I'm finally getting to know Grace because she's this legit person now. I will forever preach it from the mountain tops how important experience is when it comes to photos. 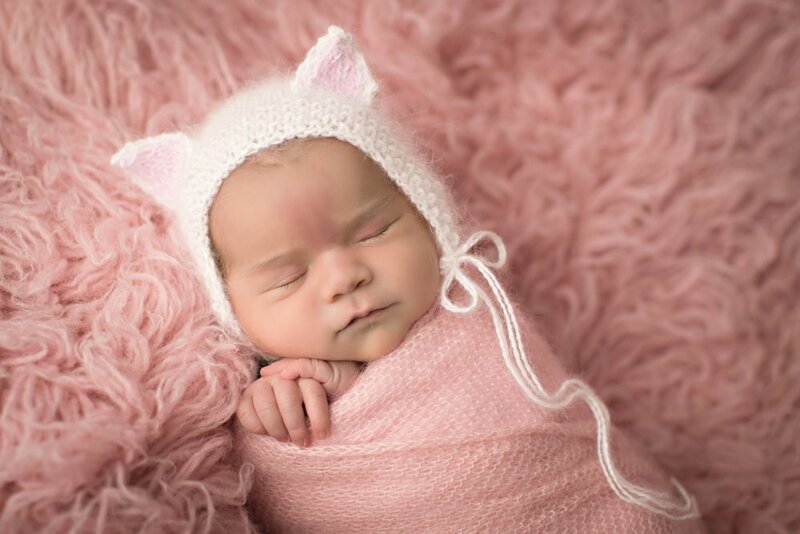 Memories are attached to pictures and it's not just about her being insanely cute in this little cat hat, it's about me standing a few feet behind Melissa with my hands up to my face, having it hurt from smiling so big and staring at this little baby be cute for the first time. 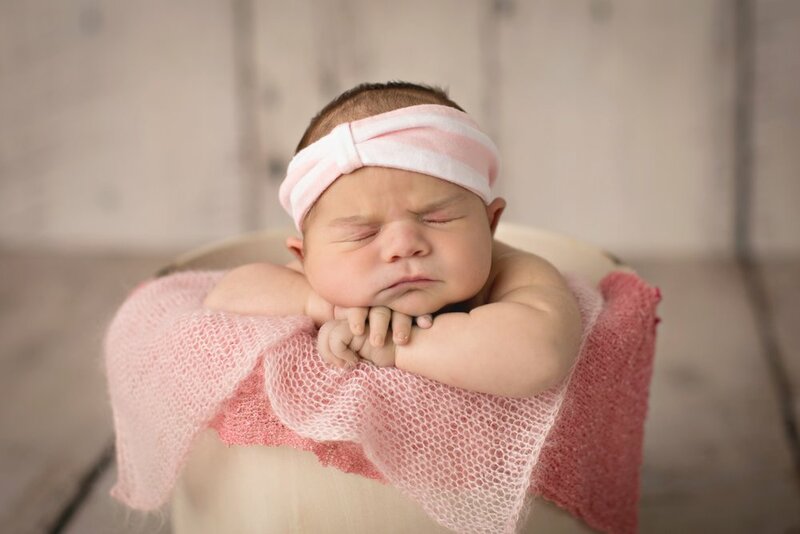 Her confidence and skill in posing newborns make what I expected to be a stressful thing with Grace crying and us walking away saying "no, it's ok, we know she's crazy, at least we tried" to a truly wonderful, laid back experience where I left being so excited about seeing the pictures. It's the best photography experience we've ever had. It's what I always work so hard to achieve with our clients and to be able to be on the other end of it was really so valuable to me. I'll stare at these forever and never forget this happy day. Obviously we are cat people but whoa, that cat hat just kills me! The flowers in the first photo I actually grabbed the last second when we left home that day. I just pulled them out of a vase in my hallway and ran. I'm sure glad I did, these are the images that are getting printed for my living room since it all matches so well! The last two images I hope will be really special someday. The little kitten is her very own Duma that I hope she will grow to love someday. The monkey is my best pal Coco that I've had since I was years old. Coco has survived growing up with my older brother so I'm pretty sure he is indestructible and will be around forever.